The outpouring of support that we have received at 99Bitcoins has been incredible, and we thank you all for being there for us as we grow. As many of you may know, 99Bitcoins is quite young, having only been launched in mid April, but we have experienced exponential growth since that time. However, as we have grown, and unveiled new features, tools, and content that is often missed, as they have not yet been made completely obvious. We touched on this on July 4th, and here is the promised, in depth article outlining our development. Coin Brief user accounts are integrated with the Reddapi system, and each new account is prefunded with 1000 RDD. On top of that, we provide a 500 RDD reward, once per day, for the first comment the user makes on one of our articles. 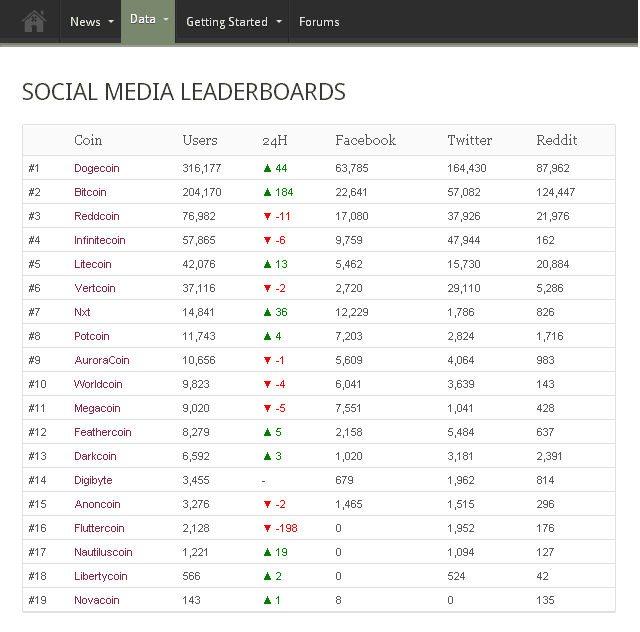 99Bitcoins now has a Social Activity Leaderboard that ranks coins according to their total social followers, and shows the recent change. In our experience, the size of a community, and the rate of it’s growth, tends to be very telling in regard to future price and stability. 99Bitcoins now also has Coin Pages for all of the coins on our leaderboard, as well many coins that are not listed on it. 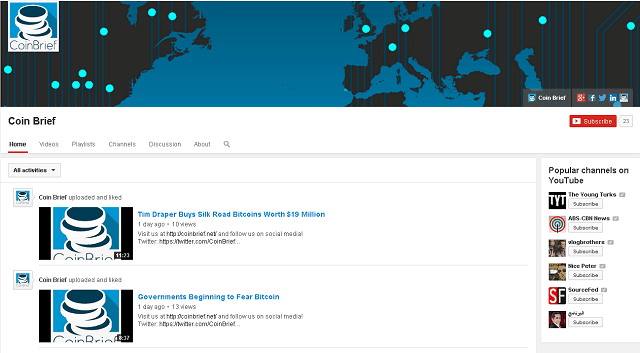 Click on a coin on the Social Activity Leaderboard, and you will be taken to a page with a mining calculator, individually charted social media growth, a difficulty chart, a price chart, and, for coins that we have written about, a list of the most recent articles that they were tagged in, as well as a link “What is xxxCoin” if it is available.In the future, we will provide easier access to the full list of pages that we support. However, at the moment, if you would like to access a page for a coin, and it is not on the leaderboard, just add /c/*coincode* (no longer active) to the end of the domain. We currently have over 100 of these pages active, and are adding more every day. We now have a YouTube channel, with weekly podcasts, hosted by two of our authors: Evan Faggart and Sean Wince. The most recent video is always featured on the sidebar, and we will have a dedicated page for all of the videos and clips in the near future. 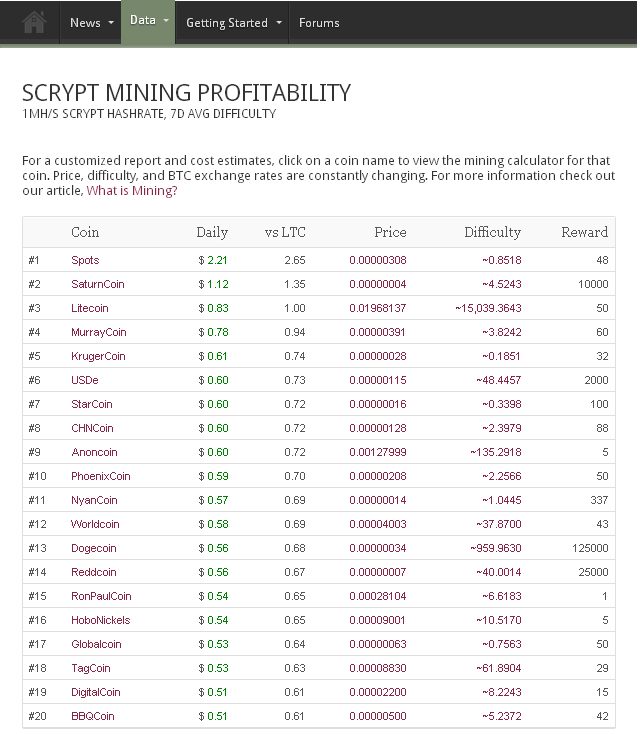 99Bitcoins now provides SHA-256 and Scrypt Mining Profitability lists. 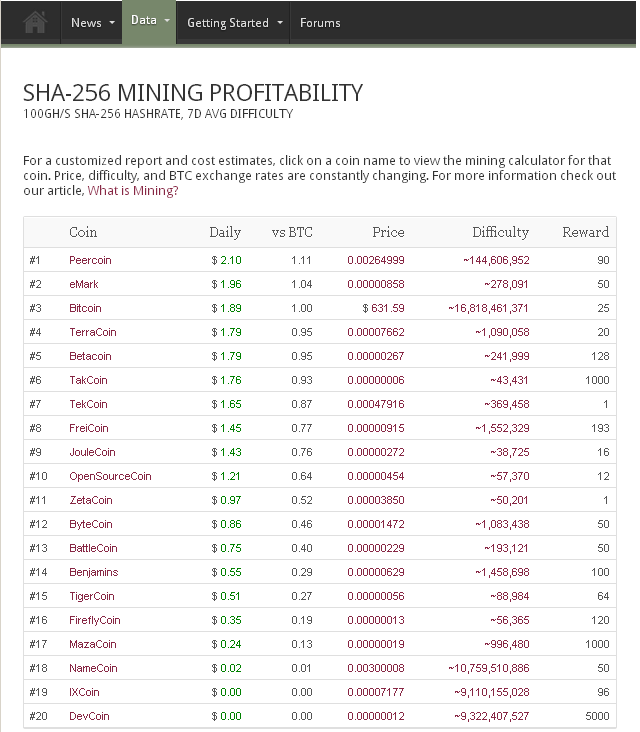 This is to allow our users to quickly determine where their mining power would generate the greatest return, and we are using an averaging algorithm to attempt to avoid the need to constantly change currencies, or use multipools. These recent additions are still being polished, and you may see an occasional issue, or bug, in our system. If you spot one, or just want to provide us with general feedback, please send it to us. We are working diligently to develop a system that is comprehensive source for all digital currency news, information, and data analysis. To that end, we have a few new systems, and updates, that are nearly ready for launch, but not yet available. 99Bitcoins’ new Coin Portfolios are nearly ready for public release, and were born out of feedback from our users, as well as our own desire to have a way to easily view the balances of the various currencies we own. The basic idea behind the portfolio is this: Users will be able to enter in the public addresses for all of the wallets they own, and the Coin Portfolio will keep an updated list of all the coins that the user owns. That alone would be useful, but we are actually adding a few other features to the Coin Portfolios that will help to solve a few specific issues that we have noticed ourselves, as well as have heard our friends, family, and users mention. These feature will be announced when the Coin Portfolios are launched. There are many Block Explorers available for Bitcoin, or all of the altcoins. Originally, adding Block Explorers was low on our list of features to add, until we started to investigate the open source Block Explorer systems that are available. After experimenting with these, we quickly decided that a more user friendly, easily usable Block Explorer is sorely needed by the community. Thus, we will be launching our own, custom Block Explorers for a handful of our currencies, and plan to quickly expand to cover every currency we have in our database. Depending on the level of interest, we may provide this software to the community, so that coin developers can easily launch a functional explorer on their own websites. 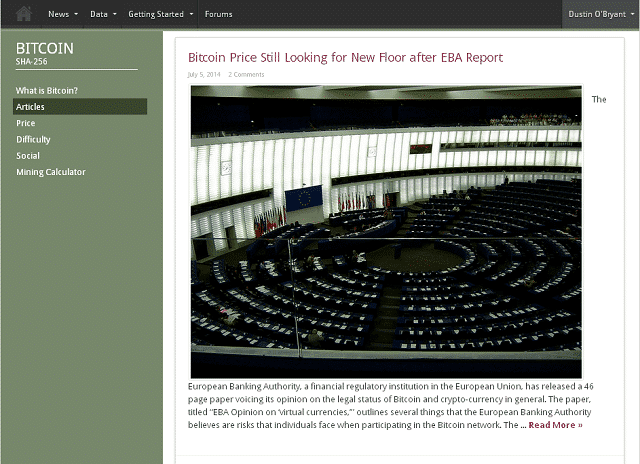 Our current Coin Pages have quite a bit of information available, but they will be evolving quickly in the near future. When we have finished, each Coin Page should provide all of the information one could want to know about a specific currency, as well as access to the source code, wallets, social media, and any other related website, all conveniently packaged for easy consumption. 99Bitcoins will be receiving a sitewide makeover, which should result in a more easily navigable site, with a more structured color scheme, and a brand new logo to replace the basic one we are using now. We like the current layout quite a bit, so we do not plan on changing that too much, but will likely add new areas to our current pages. As many of you know, we used a contest to crowdsource the creation of our tagline,”Your Open Source for Digital Currency News.” This was a lot of fun, and we want the direction, and content, of Coin Brief to be influenced by the community as much as possible. Thus, we will be launching contests for “What is ****Coin” articles, as well as other writing, development, or design bounties, to allow our users to join us in building our website. While we do not have specific details on this at the moment, we will put out new updates when these contests are fleshed out. Once again, thank you all for your continued support, and please do not hesitate to contact us with any suggestion, bug, feature requestion, question, or just general feedback.